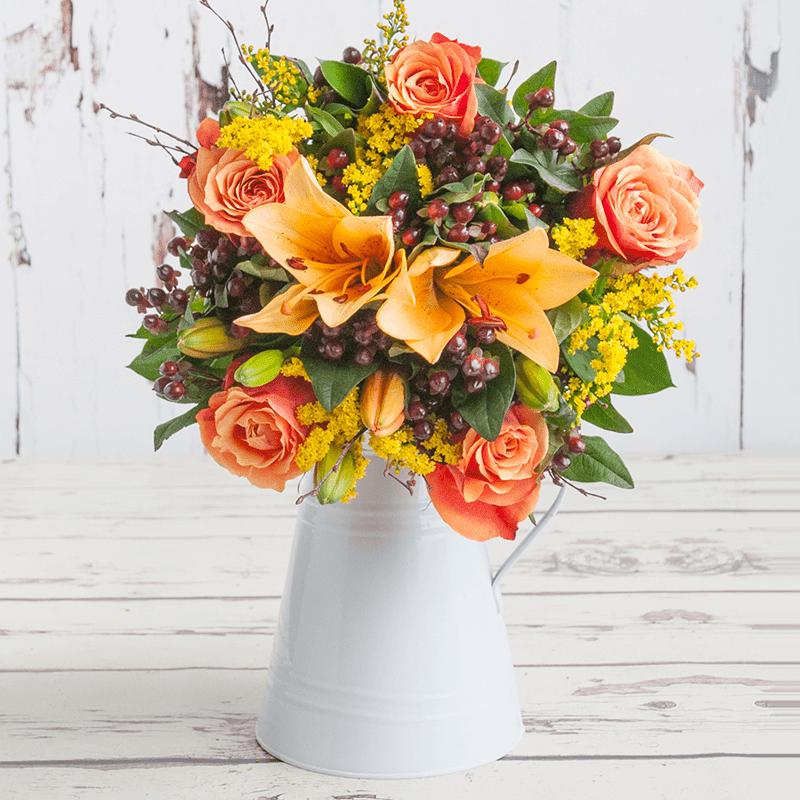 I've really been enjoying having flowers in the home lately, so when the lovely people at Blossoming Gifts got in touch to ask if I wanted to take delivery of one of their Autumn bunches of flowers by post, I was sold. I picked out the 'Woodland' bouquet from their Autumn range. It contained Orange lillies, Cherry Brandy Roses, Burgundy Hypericum Berries, Solidago, Natural Birch and Hard Ruscus. At this time of year, I particularly love Hypericum berries, so I was happy to see these included in the bunch when it arrived. The whole bouquet looked so Autumnal with it's delightful, seasonal orange colours. The thing I really loved about this concept, is the fact that they arrived by post. I literally came home from work and there they were all packaged up and ready to enjoy. If you are worried about the condition they may arrive in, fear not, they reached me in perfect condition due to the way they had been packaged and boxed. They really brightened our home up on those grey, chilly mornings. If you would like to be in with the chance of winning a bouquet to the value of £35.00 or less from Blossoming Gifts, then enter the giveaway below. *I received a bouquet of flowers from Blossoming Gifts for the purpose of this review and giveaway. Entered! Thanks for the chance. I never get given flowers!